It’s Wedding Season, Enable your Smile to Sparkle on your Special Day! Wedding season is well and truly upon us and it’s the tiny details that can make you feel 100% special on your big day. Attention has been given to the venue, food, seating plans, and that all-important dress but have you thought about your teeth and smile? It’s one of the happiest days of your life, so it’s likely you will be smiling all day long. Make sure that you are feeling confident and happy about your smile so that this confidence shines through in those long-cherished photographs. There are many whitening techniques to try or porcelain veneers and other restorative dental work, which can make the smile of your dreams within your grasp. 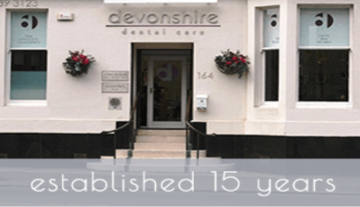 Teeth Whitening Two or three visits to your dentist is all that is required to whiten your teeth at our practice in Glasgow. During the initial visit, your dentist will take a mould impression of your teeth so that they can make a custom-made whitening tray. The mouth guard will then be fitted over your teeth with the whitening formula applied and will be heated, which activates the teeth whitening formula. Once the initial whitening treatment is finished, you will be required to continue the treatment at home, which involves applying the whitening formula for up to an hour at a time for the next two to four weeks. The teeth whitening will lighten the shade of your current teeth colour by several shades. The final results will last from between one to three years. Veneers Thin, tailor-made porcelain or composite shells can be placed over the teeth. They can be used to fill spaces between teeth and can treat teeth that are chipped, crooked, stained or misshaped. This can be achieved without the use of orthodontics and with the minimum of fuss. The process is comfortable and is performed relatively quickly. The veneer is usually fitted in around two appointments, although this can take longer if more than one veneer is being fitted. Get in touch with a cosmetic dentist after you get engaged so that you have plenty of time to plan your smile and achieve the results you desire. Cut down on your coffee, tea and red wine in the run up to the wedding as these can stain your teeth. Eat a healthy balanced diet and cut down on your sugar intake as this will help with all round health but will also help your teeth from building up acids and plaque. You can use teeth whitening strips the night before your big day as your teeth are always the whitest the day of and the day after whitening.